That’s a wrap, folks. The 2018 Trail of Lights is in the books and has absolutely been our best season yet! Hundreds of thousands of guests came out to see our decadent Trail; to sample delicious food, listen to great music, and be surrounded by lights and displays both old and new. Whether it was perusing through dozens of twinkling upside-down trees, or taking a picture with Santa and Mrs. Claus, there was no shortage of dazzling displays of holiday spirit for all of our guests to enjoy. When we say this was our best season ever, we really mean it. Not only did we have a record-breaking year on many accounts, we were lauded with accolades from some major travel publications, local and national. We topped the Best of 2018 lists for CNN, USA Today, MSN, and Travel + Leisure and were named the best holiday event in the state by New York Daily News, Forbes Winter Travel Guide and Do512 Family. We know that one of the main draws of the Trail is to see favorite displays from years past, but we love surprising the community with new things too. We had entertainment on the stages every night, courtesy of our new Live at the Trail program. We also were graced with new visual attractions such as FLIPPED, the Crystal Carriage, the LED Tunnel, presented by Keep Austin Weird, Samsung and SHI, respectively. Since it began in 1965, the Austin Trail of Lights has become the quintessential holiday event in Austin. Over four hundred thousand guests celebrated the holidays with us this year; they came to stroll under 2.5 million lights, wander through a path of decorative displays, and spin under the world’s largest man-made Christmas Tree. 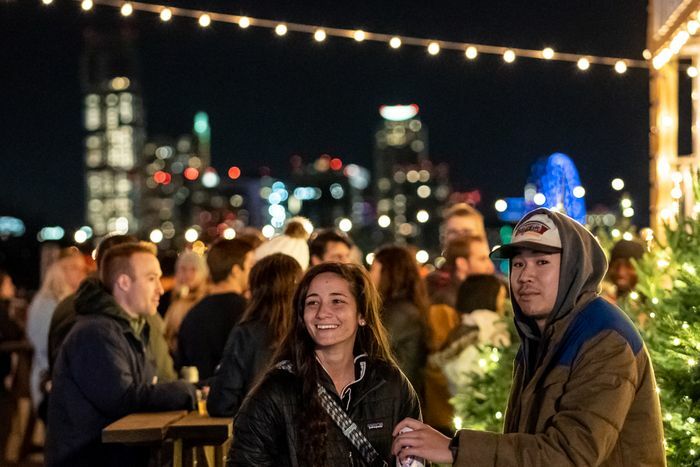 Dozens of Austin’s favorite food trucks kept everyone’s bellies full of goodies as they waltzed through our winter wonderland, before stopping by the Yule Log for some good tunes, roasted marshmallows and hot chocolate. Without a doubt, 2018 has been our most successful year and we cannot wait for all of Austin to see what we have in store for next season!